Product code: W1314cc Categories: Sold Items, Sold Watches. The Cartier Tank was first introduced in 1917, and since then has become such an iconic watch, and here is a ladies 18ct gold diamond set Cartier Tank Francaise watch reference 2385 that is just stunning. With the elegant rectangle case measuring 24.7mm by 20.6mm plus the diamond crown, the Cartier Tank would have to be one of the sleekest watches around that continues to look as good during the day as it does in the night. With the diamonds on each side adding an elegant amount of sparkle, the diamonds highlight the elegant and traditional Roman numerals. With a dial that is so easy to read, the watch is fitted on a Cartier band that is complete with the 18ct gold Cartier deployant clasp. Easily adjustable to any length, this really is a watch that can be worn anytime of the day or night and suit any occasion. 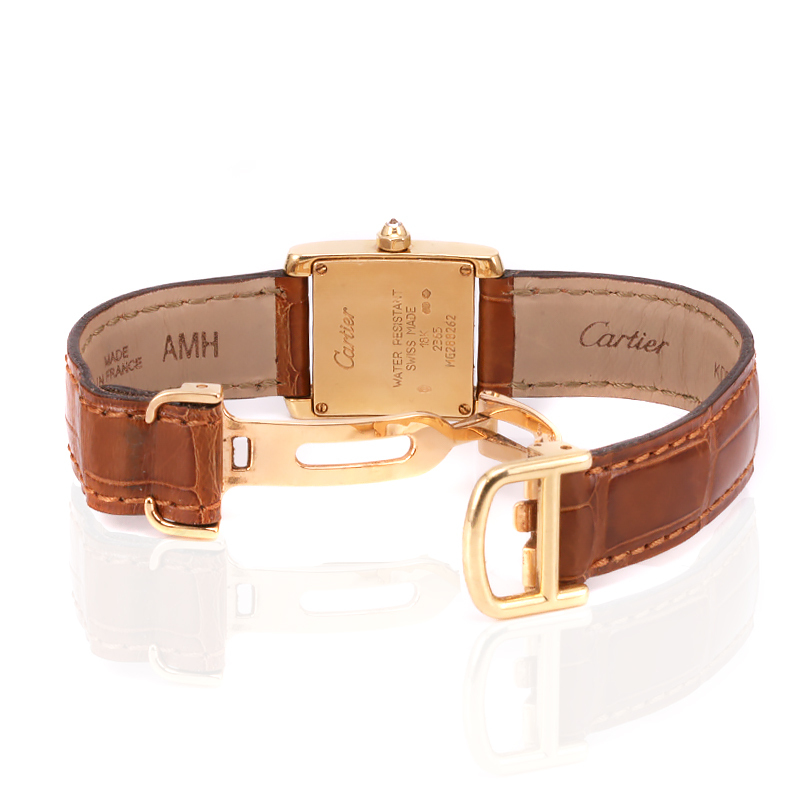 Inside is the highly accurate Cartier quartz movement that comes with our twelve month warranty. The design of the Cartier Tank has lasted over 100 years and with this diamond set model, it is so easy to see why. 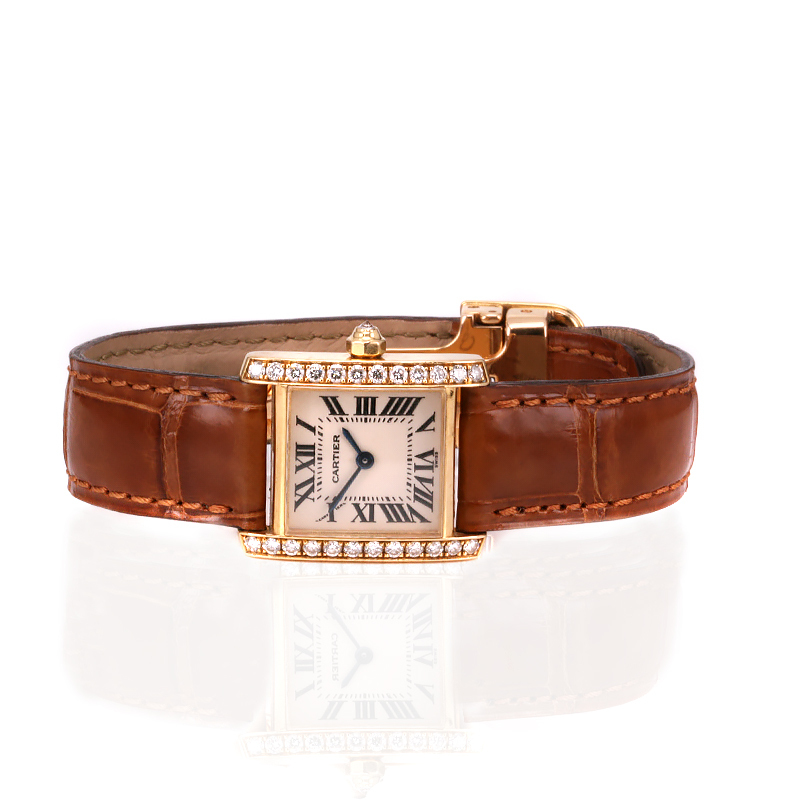 Tag: Cartier Tank Francaise watch reference 2385. A brief history on the Cartier Tank watch. Did you know the rectangle inside the numbers on the face is known as the “chemin de fer” (railroad in French).